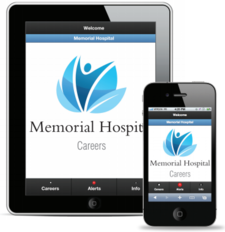 To maintain a recruiting edge with the �mobile generation�, your company or institution will require a mobile app for job seekers to quickly and conveniently monitor your career opportunities. Don't go it alone. Building your own custom mobile app can be expensive, time-consuming, and rife with pitfalls. Have you budgeted for the development costs and ongoing maintenance expenses? Do you have an experienced project manager? Are you prepared for the endless meetings and decisions? What if the end result falls short of expectations? We can help. Our experienced team will have your mobile jobs app ready within seven days, with minimal time investment, and at an affordable price. Why CareerTapp? CareerTapp pioneered the standardization of mobile web apps for the continuing education market and jobs market. We have more than 14 years of experience in job board development, ATS development, recruiting, job posting management, recruitment marketing, search engine development, and mobile web app development. We boast an impressive client list spanning Fortune100 companies, universities, and trade associations. Our clients include Target, Walmart, Harvard University, Kroger, CVS/Caremark, Costco, Cleveland Clinic, Brown University, Safeway, and Cardinal Health. Please have your recruiting department contact us to learn more about our simple, affordable, and headache-free mobile app development services. All Pharmacy. All the time. Sure, there are other healthcare staffing companies out there. But there�s only one that focuses solely on pharmacy. There�s only one that offers the strength of more than 160,000 pharmacy professionals (more than our top three competitors combined). We�re RPh on the Go. Created by pharmacists more than three decades ago, we offer an unrivaled focus, a comprehensive understanding of pharmacy staffing and the expertise to match the right jobs with the right pharmacist. 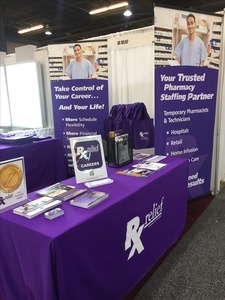 As the most experienced staffing firm in the industry, RPh on the Go offers expertise in all pharmacy settings across the country - placing pharmacists 24 hours a day, seven days a week. This, combined with our expansive client base, makes us the employer of choice for the most knowledgeable pharmacists. We offer all levels of pharmacists the freedom and flexibility they want. And we offer clients the quality they need. Our Quality Assurance & Compliance Department continually evaluates every pharmacist we place, conducts monthly license checks on all active pharmacists and completes continual performance evaluations. More qualified pharmacists than any other pharmacy staffing agency. With access to more than 160,000 pharmacy professionals, we are able to find the right pharmacist for the right assignment across the country. Our experienced recruiting staff and targeted recruiting approach allow us to help our clients expand their businesses by matching the right pharmacy personnel to staff upcoming growth markets. A dedicated staff focused only on pharmacy services. Our experienced account managers and recruiters are experts in matching pharmacist expertise to client needs. At Cameron and Company, Inc.�, we have been providing temporary staffing solutions exclusively for the pharmacy industry since 1970. We recruit the best Licensed Pharmacists, Certified Pharmacy Technicians and Pharmacy Clerks the industry has to offer, and put them to work for you on a short or long-term temporary, or per-diem basis. The benefit to working with us? You get peace of mind knowing that you're working with a reputable and very capable staffing firm whose practices set the pace for rest of the industry. We have a proven record of success with some of the nation's top retail chains and healthcare systems. Our quality employees blend effortlessly with your current staff to maintain a productive workflow and our comprehensive insurance coverage means that we don't put your company at risk. Security - We do everything possible to protect our clients from risk, liability, and exposure, and we have all the necessary insurance to protect our clients. For more information on our insurance coverage, click here. Service - We maintain local offices across the US so that our clients are not conducting business with someone thousands of miles away. Our local presence means that we are able to interview and qualify potential applicants in-person, and do not hire over the telephone. Quality - Since 1970, our motto has been, "If we can't send you the right person, we won't send anyone at all." To ensure we only refer the most qualified candidates, we adhere to a rigorous screening and credentialing process. Reliability - We are able to fill 97% of assignments. The assigned Pharmacist or Technician will be there, on time, for the complete shift. While our competitors may offer lower rates, they frequently do not offer the same level of insurance coverage to protect your interests. The bottom line is, no other firm matches the security, service, quality, and reliability that you find working with Cameron and Company. We take pride in delivering the best to our clients, everyday. Maintain Uninterrupted Pharmacy Care with 24 Hour Access to Specialized Pharmacists and Pharmacy Technicians. Adept at passive and active recruiting strategies, Jackson�s award-winning recruitment team is experienced at providing employers with the right candidate for their individualized needs with a success guarantee. In the event our employee is not a good fit for your pharmacy (for any reason), we will find a replacement without any additional fees or charges. Established in 2010, we�re a pharmacy-exclusive staffing agency connecting highly-specialized pharmacists and pharmacy technicians to pharmaceutical providers for temporary, short-term and long-term placement needs. Join over 1,300 facilities nationwide who have partnered with Jackson Healthcare�s family of staffing companies and you�ll not only get immediate relief from seasonal labor shortages and understaffing, but you�ll receive ongoing insight into market conditions for optimal staffing strategies throughout the year. Connect with us and learn more about our Recruiting Approach as not all pharmacy needs are equal. At Jackson, we build customized staffing solutions to meet the specialized needs and unique challenges facing pharmacies, today. Start solving your staffing needs today by contacting us today and an Account Manager will reach out to you shortly. UNITED Pharmacy Staffing is a privately-owned pharmacy recruitment firm that provides interim and permanent placement services on a long or short term basis. We specialize in placing pharmacy personnel in: Hospital, Home Infusion, Long Term Care, Mail-order, Nuclear, Retail, Pharmaceutical and Teaching facilities. UNITED Pharmacy Staffing provides the highest quality of service to the pharmacy professional and the employer by matching the right individual to the right setting. We continue to build our reputation on honesty, hard work, and the highest standards of customer service. We are driven by our candidates and our clients and maintain a large database of pharmacy professionals and contacts and employ a search methodology tailored to meet your specific needs. We provide each of our candidates with the assistance they need to achieve their short and long-term career goals. We value our client companies and pay particular attention to building long term relationships, assisting businesses and organizations in developing and building their staff through a committed team of pharmacy professionals. Partner with CareerStaff Rx, and gain access to our national network of thoroughly screened pharmacy professionals who are able to seamlessly integrate into your operation. Many healthcare staffing agencies can fill your open positions, but not all have the knowledge or resources necessary to find the best-qualified clinician candidates. We offer national resources with personal attention. 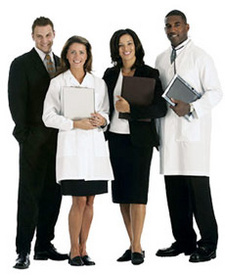 Our staffing solutions can help any type of healthcare facility meet its workforce objectives. When you become a CareerStaff Rx client, you gain a staffing solutions partner who will work to understand your facility�s needs. We provide the high caliber, well-qualified healthcare professionals you�ve been looking for. Discover how partnering with CareerStaff Rx can help your facility improve retention, quality, reporting and cost-effectiveness for per diem, contract, travel or permanent placement positions. Our team is on call 24 hours a day, 7 days a week to serve you with outstanding customer service. CSU Managed Services strives to deliver workforce solutions that help you accomplish each one of your strategic goals. If you have multiple pharmacy staff openings at any given time, consider a Managed Service Provider! 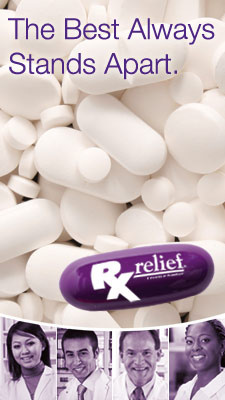 Rx relief seeks the finest pharmacists and technicians for our professional staffing service. 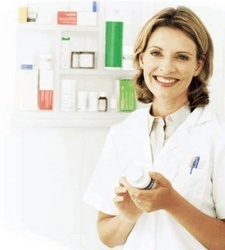 With over twenty-five years of experience, Rx relief has developed a reputation based on the quality of our professionals, the level of respect with which we treat employees and clients, and our customized approach to your pharmacy staffing needs. We make it easier to work with Rx relief because we�ve designed our service delivery programs to eliminate unprofessional confusion and provide higher client satisfaction. We believe that handling simple temporary job details smoothly helps manage expectations, improve the overall level of communication, and helps create a more satisfying experience with supplemental pharmacy professionals. With over twenty-five years of experience, we�ve developed convenient programs with customized options to provide value-based staffing for your pharmacy. We are a large professional staffing company with same day service, and proven efficiency. And our service is guaranteed. If that fits your needs, I hope to hear from you soon. Qualified staff that is technically competent to meet your needs. Strongest screening and selection process. Flexible, state-of-the-art scheduling for a variety of practice settings. Dependable responsive staffing that works for you. Rx relief Wants To Be Your Trusted Pharmacy Staffing Partner. Whether you are an HR manager seeking quality staffing services or a healthcare practitioner interested in employment opportunities, the Healthcare Staffing Pages offers a one-stop resource to research leading staffing agencies and recruiting firms serving the healthcare sector. Specializing in temporary, travel and permanent placement services, agencies on the Healthcare Staffing Pages focus on the placement of nurses, physicians, pharmacists, therapists and allied health professionals. Our Pharmacy Staffing Pages offer information on various agencies looking to fill many positions. 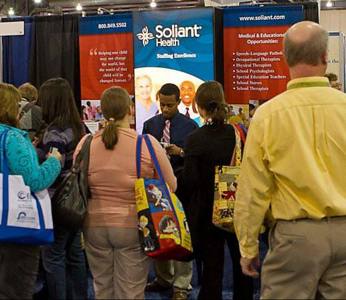 The Pharmacy Staffing Services of Soliant Health provides pharmacy professionals with the most unique and rewarding career options available in pharmacy today. Our careers in pharmacy staffing provide flexibility, variety, and the ability to experience all pharmacy has to offer. We offer FT, PT, and PRN positions in many different practice settings for all levels and degrees of pharmacy professionals. As part of Soliant Health, you will enjoy a full range of benefits. Our special programs include temp to perm placement, which enables you to experience different positions before deciding what�s best for you. Our travel opportunities satisfy those with a sense of adventure and our direct hire program offers nationwide placement opportunities. During our transition from humble beginnings to the established leader in pharmacy staffing, our goals haven't changed. Serving the pharmacy profession exclusively since 1970. Industry Leading Staffing Solutions in all 50 States. UNITED Pharmacy Staffing prides itself in supplying only the most qualified pharmacy personnel available for interim & permanent placement. 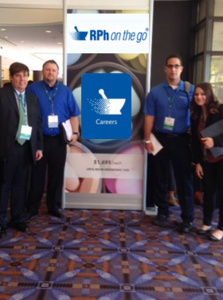 The Pharmacists' Registry - we solve staffing problems! Looking for a change of pace? 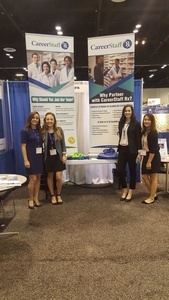 Cameron and Company, the nation's premier provider of temporary help to the pharmacy industry, offers unique and rewarding career options for Pharmacists, Pharmacy Technicians, and Pharmacy Clerks looking for variety and flexibility in their work life. We provide long-term, short-term, and per-diem placement. Build TRUST and STRENGTHEN your patient-practitioner relationships! MyCred Portfolios are online credential and achievement presentation portfolios designed to store and present a healthcare practitioner's educational, professional, and experiential accomplishments. MyCred Portfolios serve to educate, influence, and inspire your patients, leading to stronger patient-practitioner relationships and positive outcomes. Are you looking to go somewhere new? Searching for the right position? Or are you trying to find quality pharmacists for your organization? Whatever you need in the pharmacy industry, we are here to help. For over 20 years, we have been leading the industry, and we're very glad you have decided to check us out. At RPh on the go, we have numerous pharmacist opportunities for you to pursue a career in your desired field. 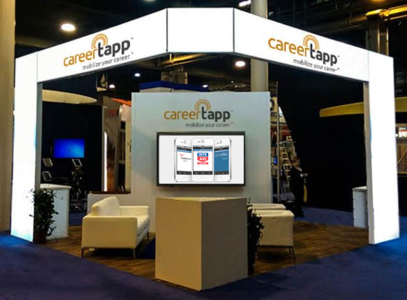 CareerTapp develops mobile apps for employers (Job Apps) and for continuing education providers (CE Apps).